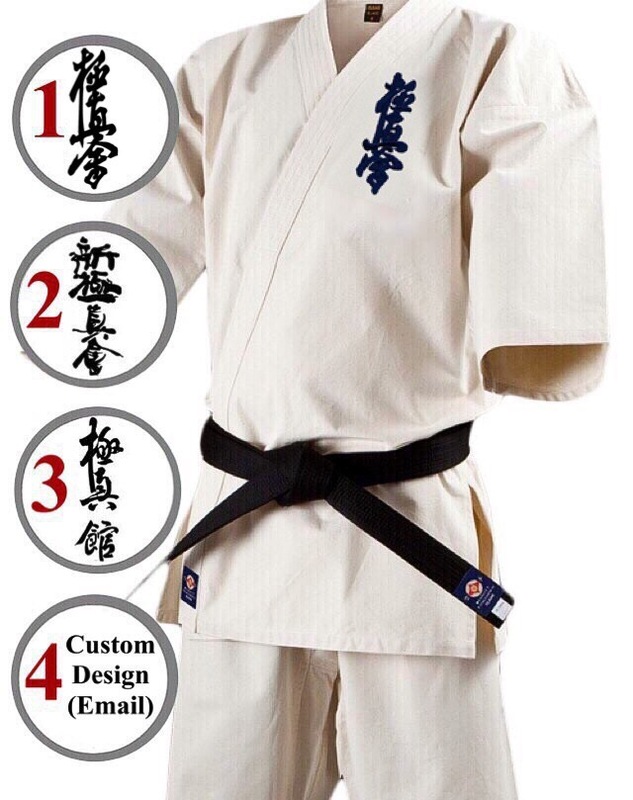 Knockdown ELITE are resellers & proud suppliers of deluxe Japanese cut knockdown karate training Gi (uniforms). Cut, design & quality of our Gis are of the highest quality, while retaining the best possible value for money. ELITE Knockdown Gi are made with a 14oz heavy duty jacket. Japanese cut, 3/4 length arms, no ties. Made of 400 gram canvas fabric, tough, durable & crisp. The jacket is complemented with drawstring loose fit 10oz trousers. Made of 280 gram twill zean fabric, perfect for kicking & designed specifically for Knockdown fighting styles. 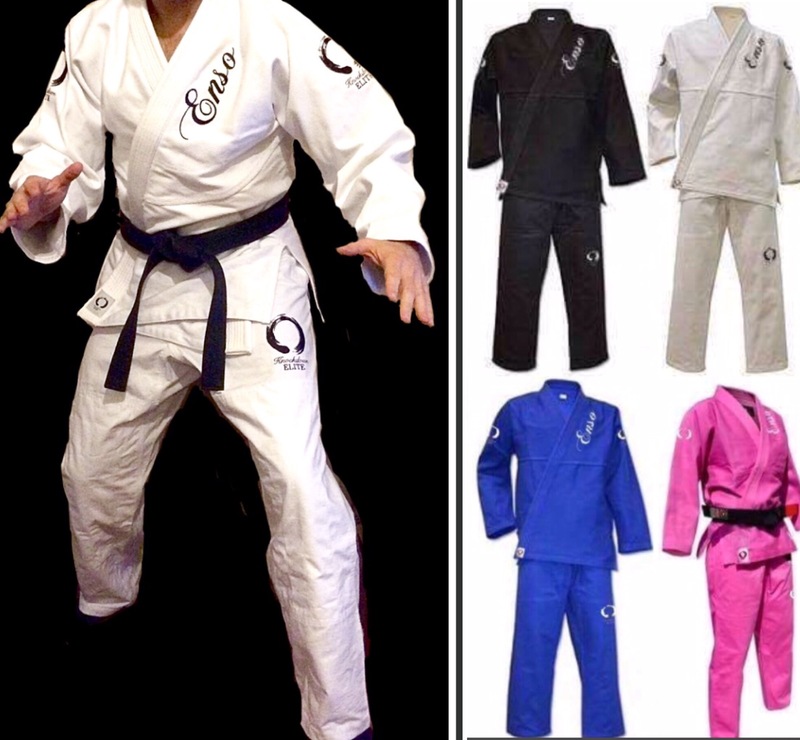 We also produce a BJJ Gi & hybrid Knockdown MMA style Gi. 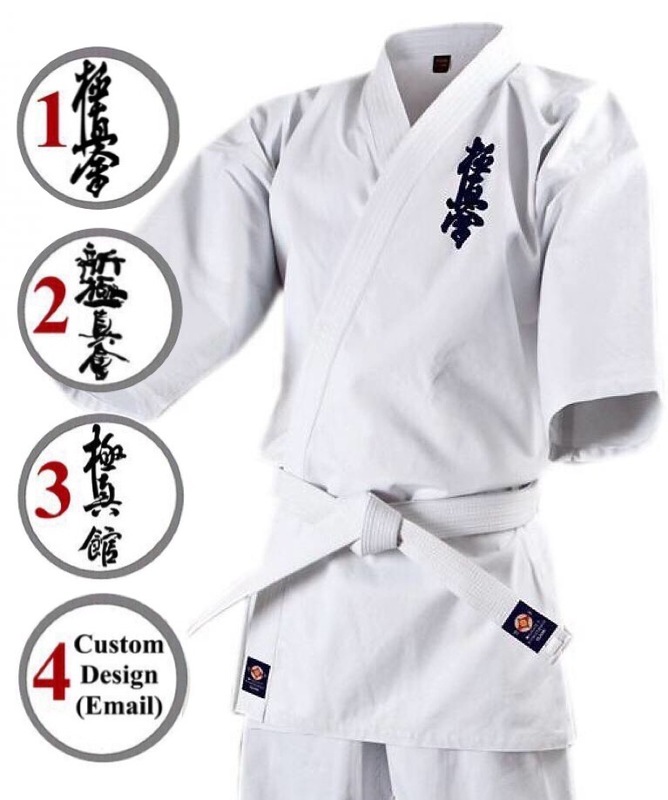 Specially designed for Japanese MMA styles such as Kudo, Kakuto, Shinsenjutsu etc. Unlike traditional Knockdown style Gi, hybrid MMA Gi have no separate shoulder piece. The single material cut allowing for throwing & grappling, while retaining the comfort of a traditional Knockdown Gi over use of a BJJ Gi. Your name in katakana can be included on the lapel of your jacket or on trousers. Either send us a picture of your name as it appears on your belt, or free translation available. 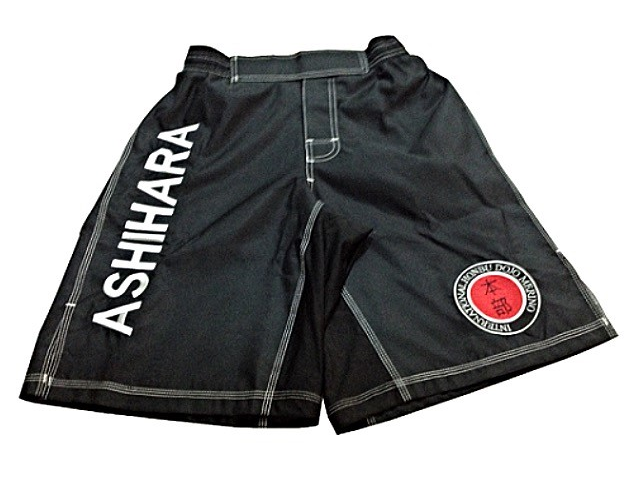 MMA Shorts. Any print or embroidery / Any colour: No setup fees. No minimum order! 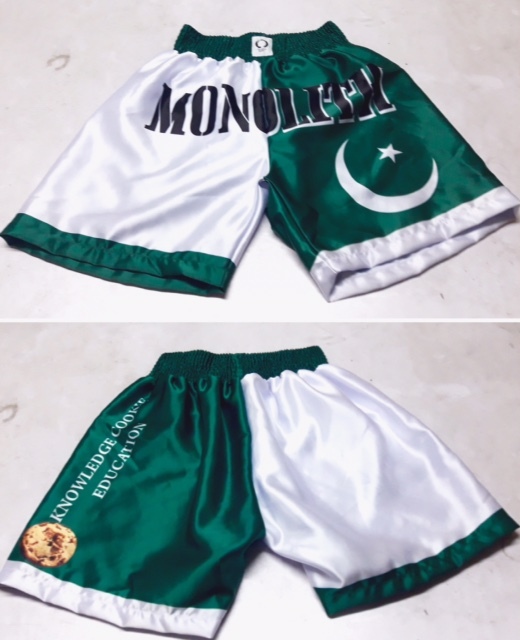 Custom Shorts - Muay Thai, Custom Printed. BJJ Gi: Black/White/Blue/Pink. Pearl weave 550 gram jacket, with Ripstop 300 gram pants. Knockdown Gi. 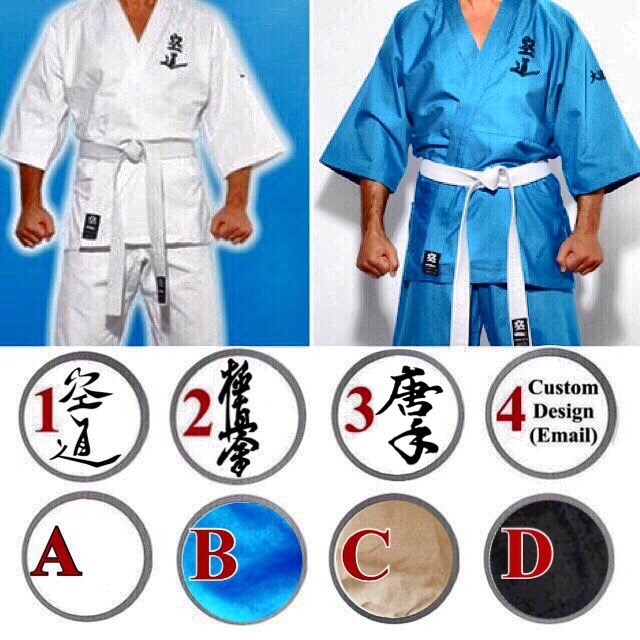 Custom embroidery: Kyokushinkai, Shinkyokushin, Kyokushinkan, Tsuyoi-Ryu, Ashihara. Our best Knockdown Gi. 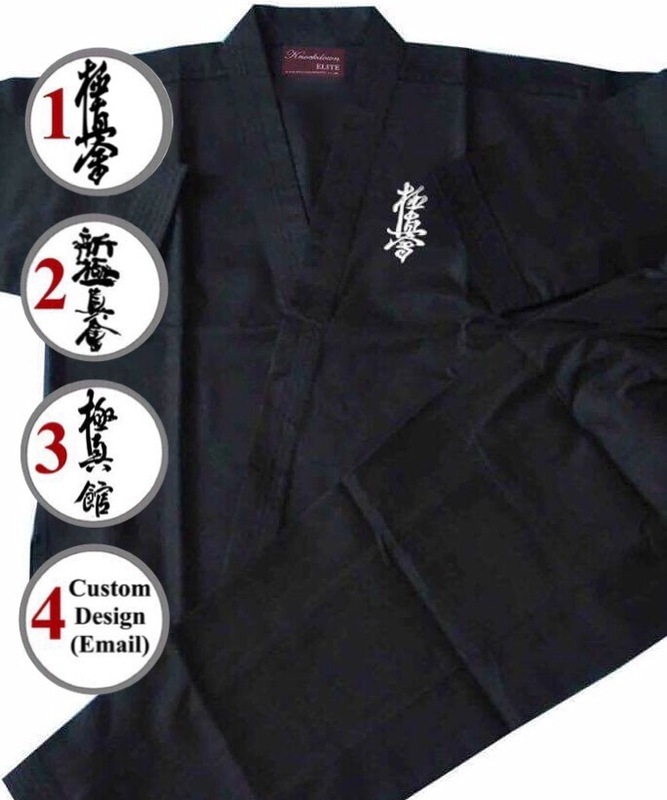 Custom embroidery: Kyokushinkai, Shinkyokushin, Kyokushinkan, Tsuyoi-Ryu, Ashihara. Knockdown Gi. 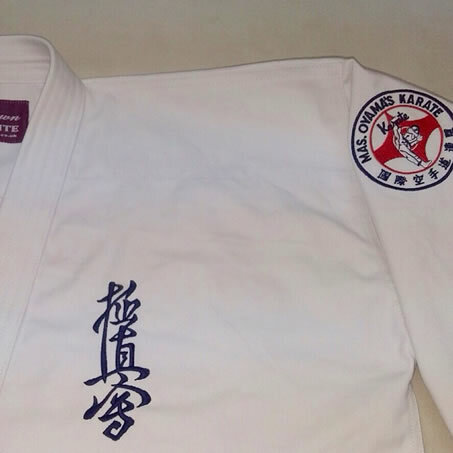 Original Oyama Dojo Kyokushin Karate Embroidery.